Just a half dozen of the 40-plus cheeses in stock at Patit Creek. Less than two weeks ago, Patit Creek Cellars elevated their charming West Sprague wine-tasting room to new heights. Under the attentive eye of Rachel Mace-Crum, the tasting room debuted a 900-pound cheese case featuring local, national and international cheeses made from sheep, goat and cow's milk, and in varying combinations of the three. Blue cheeses chill next to brie, triple crèmes, soft, semi-hard, raw and aged varieties. Mace-Crum's plans for the cheese case are ambitious, and with good reason. "We sold 35 pounds of cheese in 13 business hours on our opening weekend. We are testing the waters to see what people are buying," says Mace-Crum. "On my list, I have easily over a thousand different cheeses available to order." Patit Creek, part of the Walla Walla-based winery, currently carries 40 cheeses and hopes to stock 70 in a cheese case that features favorites such as Cambozola and Humboldt Fog, and also boasts unique selections such as Sottocenere, a delicate cow's milk cheese fortified with black truffles, and Brebirousse d'Argental, a buttery, salty sheep's milk cheese that inspires thoughts of elegant macaroni and cheese. Mace-Crum and her husband, Cody Crum, work together to pair an array of cheese with Patit Creek Cellar's wines. "We try really hard to customize the experience for everyone here. We can bring you a glass of wine and then choose your cheese. Or people will come in and know which cheese they like and then we'll recommend the wine," says Crum. "These cheeses have sneaky ways of pairing [with wine] that brings them into a place of their own," adds Mace-Crum. Mace-Crum is working diligently to dispel the notion that buying and eating good cheese is only for food snobs. 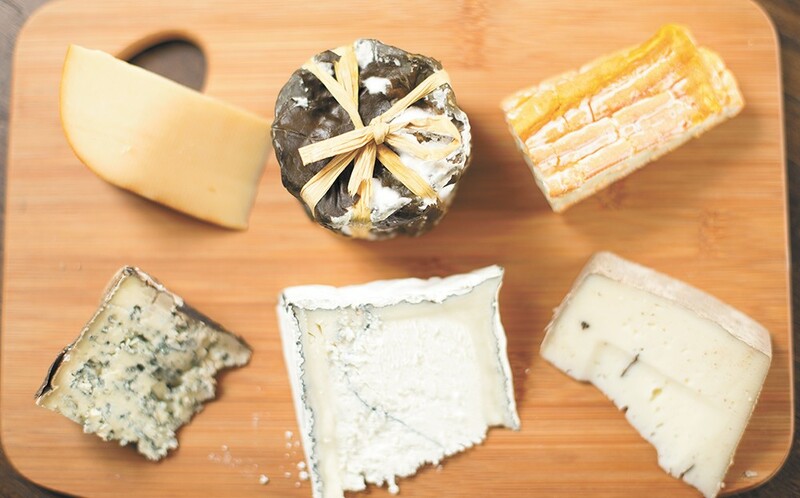 The shop will offer cheese-and-wine pairing classes. A cheese club membership is in the works, as are small-scale wholesale accounts for restaurants. Soon, Mace-Crum will be taking courses at Murray's, New York City's premier cheese shop, to further her knowledge and cheesemaking skills and receive certification as an official cheesemonger.